Commercial moving requires attention to a whole range of new details that most homeowners don’t have to deal with when they move their office furniture. Computer equipment, accounting equipment, filing systems and other aspects of a commercial business require special handling. 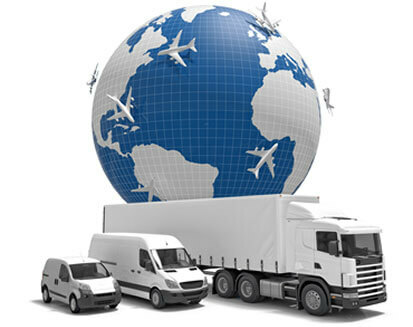 We are experienced commercial movers with the right people and the right equipment to move a commercial business from one location to another, whether it’s across town, across the country, or to the other side of the world. When you need to move an office, an Embassy, or a business in the hospitality industry, you need to hire the best. With twenty years of commercial moving experience and a superb network of providers and suppliers, we deliver the best commercial moving service in the business. Simorgh Pack Co knows that a successful move requires first and foremost a good plan. As soon as you arrange to move with us, we assign a Relocation Specialist, who works closely with you to determine your exact needs – everything from the packing and unpacking to the most economical transportation route. Our team of professional commercial movers knows how to handle delicate computer equipment, communications and networking equipment, filing systems and accounting systems, which they carefully and diligently pack, move safely and quickly, unpack, and help you set up in your new location. We handle all the details - you have no stress. We can also provide storage solutions for your company move should they be required. We can store either near your old location or near your new location. We can store equipment, furniture, computers or any office items that are not yet ready to be moved. We provide storage on a short-term basis or on a long-term basis, customized to the needs of your business. To every business owner, time is money. When you move, you want the minimum of downtime possible. You need to be packed quickly and efficiently, you need to move in a timely manner, and you need to unpack and get your business up and running again in the shortest possible time. Our movers are trained professionals who specialize in moving a business across town or across the country with the minimum of downtime and the least amount of hassle, so you can be back in business in no time.